Your assets are important – make sure they’re protected. Modern businesses in Toronto rely more on IT than ever before. System downtime simply isn’t an option, especially if you run an online business. What is more, data security itself is of paramount importance. 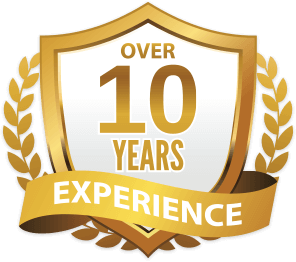 This is why we can help maintain your essential hardware, whilst also attending to data back up and recovery, disaster planning & recovery, and expeditious fault finding and resolution. Our managed IT services provide Toronto businesses with network infrastructure maintenance and support, guaranteed to keep your network running as fast, effectively, and efficiently as possible. We unsolder you of the burden of costly on-site maintenance and security monitoring. At the same time, however, we provide the same 24/7 support which you would expect to be able to rely on in-house. Wireless intercom and video intercom systems are an easy and effective way to ensure maximum property and personal protection in a wide variety of home and business contexts. From securing restricted areas such as cash rooms to helping better protect your family home. We have the intercom solutions you need to always know who is attempting to access your property. A private branch exchange telephone system is a private telephone-based communications network which can facilitate faster and more cost-effective communication between different offices, business departments, and other in-company areas. As well as security system installations, we can also install and configure a PBX system scaled to your exact business requirements. Locksmiths such as ourselves are in high-demand all year round in Toronto. Every day, people lock themselves in and out of properties. This is why we provide 24/7 expert home and business locksmith services designed to restore access to properties and vehicles as expeditiously as possible. however, can network a system and install a system which takes full advantage of your entertainment area acoustics. Thankfully, we can do just this, as well as help you choose the right system for your specific residential or commercial needs. Imagine living in a property where everything from your home security system to property heating and ambient lighting controls, are all taken care of by a discrete smart home network. Smart, networked homes are fast becoming the way in Toronto to save on home energy bills, whilst also adding unparalleled convenience to residential home life. Mounting a television or home entertainment device can be a fantastic way to free home space and enhance the decorative feel of a property. TV mounting, however, can also be dangerous. Thankfully, we can help mount televisions and other home entertainment devices easily, safely, and as eye-catching as possible. Security is a concern that every homeowner has. Circumstances are different, and the requirement for security has changed too. At times we think about our well being and the security of our family in the wake of something has transpired, companions, relatives, or neighbors. The need to precisely furnish our homes with alerts and security frameworks has never been higher. What are the best home security measures? Great ways to keep your home safe is to take simple actions to deter burglars from wanting to target your home in the first place. Burglars are attracted to darkness and overgrown trees and bushes because these provide them with the cloak that they need to avoid detection from neighbors and bystanders. By ensuring that your neighborhood and home are adequately lit, then you are deterring burglars from targeting your home. Another home security tip is to provide that your tools are secure inside your house rather than the shed or the garage because the burglar can utilize these tools to break into your home. A wireless home security system is powered by batteries and includes a set of security tools to form a kit. Infrared waves, radio waves or line carriers are used within these systems to create a line of communication between components. You need to understand how these work and whether they suit your needs before purchasing one. The systems of today are straightforward to install as some of them only require plugins. The wireless sensors are then placed correctly, and the signals can successfully be communicated. The presence of a home security system reduces your chances of having your home burglarized a great deal. When you have a sign and window stickers that indicate that your home is armed with a high-level protection system, it is guaranteed that a burglar will think twice before attempting to invade your home. How does home security system work? Operating a home security system is very simple. Most work with a simple touch or switch flip system. This is pretty similar to turning the lights on and off. What makes it more advanced is the motion detector of the security system that will be activated when a door or window is opened. How do home security cameras work? A base unit is utilized to communicate with the other wireless modules linked to the wireless security cameras. The cameras get connected to the base using a radio frequency that is sent out. Each wireless home security camera comes with a battery. Output mechanism linked to the receiver will either function on batteries or electricity.After power is sent to the base unit and the cameras, sound and images are moved to the receiver from the camera. The receiver outputs everything from the camera to an attached monitor, DVD recorder, TV or VCR. How much home security costs? When it comes to examining the cost of your home security, you should know that there are two avenues available to you. You have the option of going with a discount home security system and perhaps only having it installed on the windows and doors that you perceive to be high-risk invasion points in your home. You can decide to piece together your residential alarm system from different burglar alarm components and installing them yourself. What Home security system should you get? It depends on your needs! We all have different needs, and different home security systems can help satisfy those needs. Also, no single home security system is best to secure your home. Most security experts suggest that you mix different systems to come up with one efficient and fool-proof system. Where to place security cameras inside a home? 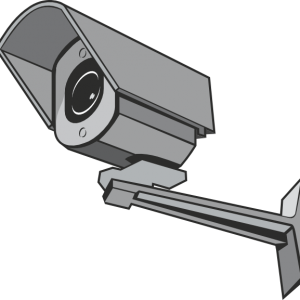 Never place a camera in an area where someone visiting or working would have a reasonable assumption of privacy such as a bedroom and course bathroom. You can set a camera in the sitting room or the corridors of the house. Where to install security cameras outside the home? Place a camera outdoors naturally; you need to consider near the power source. To produce a decent image, it needs adequate light to capture the subject. You need to place your camera where light is sufficient. What questions to ask when buying a home security system? The following are several questions you can ask while purchasing a home security system.Do you need security doors for my home? Should you buy a wood, iron, or steel front door? What else can you do to keep my house secure? Aren’t home security doors expensive? People think that a cheap alarm system will keep their valuables safe from the dangerous hands of burglars. This is so far off that many people find this out when it is too late. There are few things that you can do to make them not want to hit your house. Lighting is a crucial tool in keeping your home safe and secure. The bad guys like to hide and not be seen, so they do not like lights giving away their position. In addition to high lighting, you have to keep your good stuff out of sight. Some people love to flaunt they valuables, so they leave the windows open so anyone can see in. Make sure that your curtains are shut so no one can see in. This will keep the crooks guessing if someone is home. Now all you have to do is add some sounds to make them think. Most burglars want to get your stuff and get out as quick as possible. If they hear some sounds coming from your house, then they will most likely leave. Most do not want any confrontations because that means that most likely the police will show up. They are very wary of dog sounds. So you could have a motion detection light hooked up to some dog barking sounds. They will most likely pass up the chance to get your stuff. In case you are planning to have a tour with your family, you need to try these Home security tips when on vacation. Or have someone pick them up daily. Nothing says to a thief this is an empty house like newspapers and mail piling up and that means they will not be caught. These are plugged into the wall and then lamps, televisions and radios can be connected into them and set to turn on and off at certain times. This will give the appearance that the family is at home. This is something that should be done each season. Check all the door and window locks and replace any that are not in good working order. Enough that no one can see in, when you are home, this way when no one is at home it will not seem out of place. It will also keep the thief from getting a look at televisions, stereos, laptops and anything else that they might want. Both of these things will take away hiding places for the person that is planning on breaking into the house. Your home and property may have a different alert and security needs, and you require adequate arrangements. Those answers for home security can come as modern home security caution frameworks or the traditional alerts and security frameworks. If you need down to Earth security advice without a hard sales pitch, IGTA is your man. Walked through our property, gave us advice which made sense, and started work the same day helping us better secure our business. Exactly what we needed. We had no idea how behind the times we were with regard to our home security. IGTA and his team, however, pointed out all of our weak spots to us and were able to advise us on the most affordable way to keep our home better protected. We feel much more secure now and after being the victim of a break-in, this is such a relief. I was advised several times to have at least a dummy CCTV system fitted in our store and in retrospect, I should have listened. 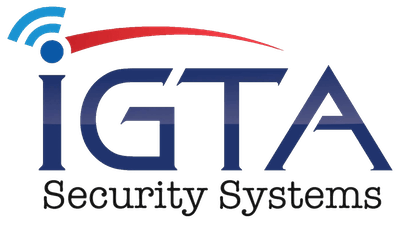 IGTA team, though, were both understanding of our situation and more than happy to help fit the kind of security system we should have had much earlier. I can’t recommend highly enough. Need spare keys? After support when you forget how to arm your system right before the weekend? At first, I felt a little intimidated by our new home alarm system. IGTA and his team, though, have been superstars at accommodating me in regard to (my many) questions and direct support needs post installation. Very happy.